This recipe is absolutely amazing! 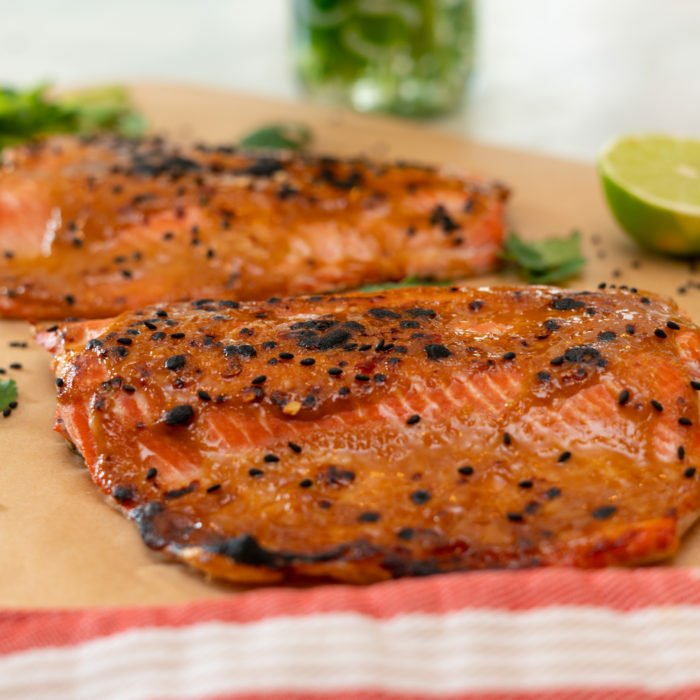 Just whisk a few ingredients, spoon onto the salmon and broil for 5-7 minutes and done! Serve it with rice, or a cucumber salad or an asian slaw and done! Combine all the ingredients in a bowl and whisk until smooth. Spoon the miso mixture onto the salmon and broil for 5-7 minutes until the miso starts to caramelize a bit. Plate and sprinkle some fresh cilantro, sesame seeds and a squeeze of lime.